I had an interesting conversation a few weeks ago with a boy in preschool. I told a story that helps children understand the meaning of the church year and, as is my custom, afterwards we wondered about it. The story helps children understand how many Christians keep track of time. The year starts with getting ready for and celebrating Christ’s birth. It moves through the life and teachings of Jesus and into a season where we get ready for and celebrate his death and resurrection. 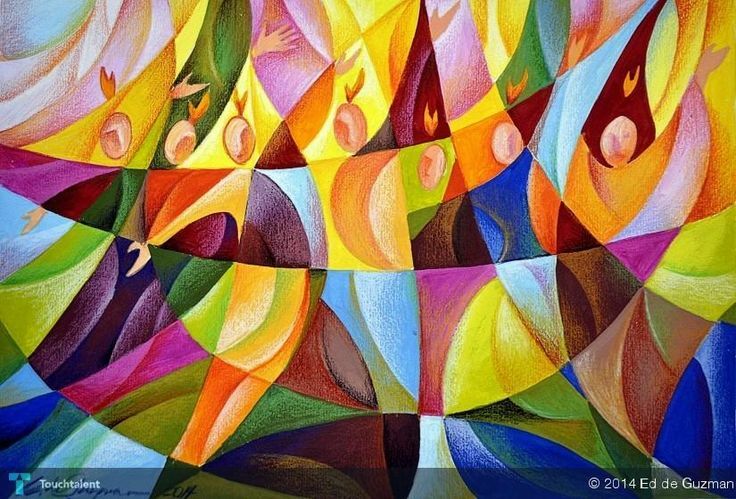 It moves then into the celebration of God’s gift of the Holy Spirit, which propels the church to redemptive presence and action wherever God sends us. The “getting ready” seasons for Christmas and Easter are Advent and Lent, respectively. They are both represented by the color purple on the "church clock." It seems like a complex question for a preschooler, but I assure you it isn’t. PlayFull offers training in a method of children’s ministry called Worshipful Play. Email Troy if you’d like to explore how PlayFull can help you adopt a similar approach in the spiritual formation of children. I had the privilege of serving as a storyteller and wondering leader this morning with a group of children at church. 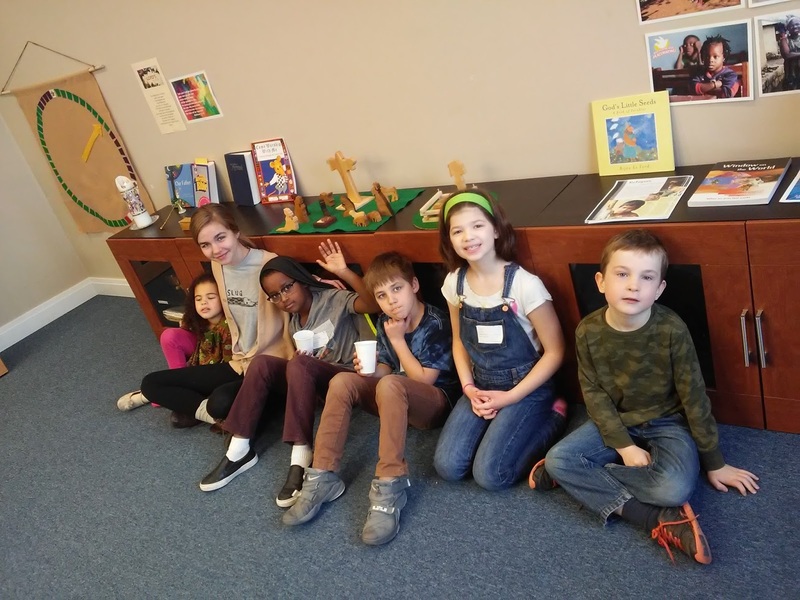 At our church we practice a method of children’s ministry which we call Worshipful Play; it’s a combination of stories and methods from three approaches to childhood spiritual development[i]. The method is marked by freedom and, after telling a Bible story, we practice a type of conversation called wondering. Each time a new question is posed, we begin with the phrase “I wonder…” The intent of wondering is not so much to get “right” answers from the children as it is to open them up to approach the Bible with curiosity and imagination. When real wondering happens, the child experiences faith as integrative. The children are accustomed to entering the room and forming a circle on the floor in the storytelling space, which contains all the stories of Scripture in the form of a diverse array of materials that children can work with personally. The materials look like wooden “toys” but we ascribe high value to each piece by how we work with it and handle it with gentleness, slowly savoring the specialness of God’s Word. After we form the circle, we have a phase that helps us “get ready” to hear the story. Depending on the week, and depending on the age group, what we do during this phase can vary, but one thing we always welcome is simple conversation, so we have a chance to hear about what is going on in each other’s lives. As a storyteller and wondering leader, this is invaluable to me because it helps me pay attention to what might be especially meaningful for each child as we proceed, what questions might come forth and what part of the story might be most helpful to feed their faith. Sometimes this pre-story conversation is short and sometimes it is long. As a worship leader, I try to remain open and sense what’s important for that particular day. Today was interesting because one young boy wanted to mention two significant things right away. The first was that he was happy because “in four to eight weeks” his little sister whom his family had been waiting to adopt for a long, long time, was finally going to be able to join them. He pointed out that at first he thought his parents said “forty eight” weeks and was disappointed by that, but when he heard it was only “four to eight” he was so glad! He went on to share about someone he knew who had a heart attack and I asked if he wanted us to pray for their family friend as well as his sister who was soon to arrive. He decided we'd pray for that later during the feast time, but as it was time to start, he volunteered to pray as we continued getting ready for the story time. As he bowed his head, the children decided they wanted to hold hands, so we all joined hands in a circle and prayed together. Today, we sat and just enjoyed looking at the light. Then, before putting it back on the shelf (where it would be safe) I mentioned that, even when we are in dark places, the light is always there, even if we think we can’t see it. We talked about two other people the children knew who had a heart attack that week and we talked about one man who had died recently, Ben’s great-grandfather. Then, we told the story which happened to be the account of the transfiguration of Jesus. The story starts by reminding the children that Jesus and the disciples had come from the towns and villages, spreading the good news. Even though Jesus had been saying along the way who he really was, some of the people still did not understand. Peter replies that he believes Jesus is “the Christ”, the One they have all been waiting for. Jesus confirms what Peter said and adds that now he was going to go to Jerusalem where he would be killed, but then on the third day he would come back to life—but, Jesus assures them that before all that would happen, some of them would see the kingdom of God come in power, first-hand. With that the episode ended, the disciples did not know where Elijah and Moses went and Jesus appeared to them as he always had. The children had some things they wondered about right away. So, the conversation started in earnest. Some of them wondered why Jesus only took three of the disciples with him. Some of them wondered why it was those three. One child wondered how the disciples who were not there felt and another child wondered how Peter, James and John felt. Then another child picked Peter as the person they would be, and still another child picked James, while another picked John, each giving a reason that was meaningful to them. The child who picked James said she picked him because “that’s the name of my dad’s brother”—and we noted her dad’s name happened to be Jon. Wow, we said, this story is really a story for today, isn’t it? Meanwhile, Bek stood up a couple of times to say who he would be. When the conversation turned to what he wanted to tell us, he said: “I would be this person”—and he pointed to a large figure of Jesus which we have that is part of another set of materials, for a different story. But he insisted, “This one.” And, again he held up the figure of the large Jesus from the other story. Rosie was still enjoying the thought of God dancing with us, so she picked up the figure and started to do a little dance with him. 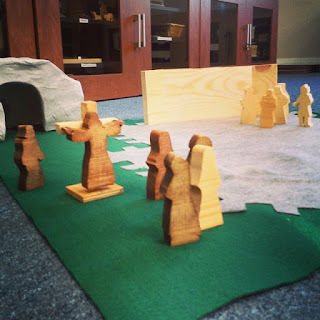 One child went over to a shelf where we have figures that tell the story of Jesus’ crucifixion and took out the figure of Jesus hanging on the cross. The children held the little figure in front of the big figure to show how they were in the same shape. After asking the child to explain the question more, we discovered he wanted to know why Jesus couldn’t “come back to life” and be with us again as he was with the disciples. They made the connection that “this Jesus”, the large one from the other story, was in the story of the transfiguration when Jesus said he was going to die and come back to life. Well, they noted, in the story the disciples believed in Jesus. They said he was the Christ, the one they had been waiting for. And, they said, when we believe in Jesus even if we die we will live forever. The children started talking again about Ben’s great-grandfather. How he had died but just before then he said he believed in Jesus. So, we talked about how he wasn’t really dead now; he was with Jesus in heaven, alive. Ben said, “I can’t wait to die because when I’m in heaven I won’t be allergic to peanuts anymore!” He laughed, but he was serious, too. We talked about how in heaven there won’t be any sickness or disease or allergies or anything like that. How wonderful it will be! We talked about one of the men who had a heart attack, how he thought it was going to be the end, but he was okay with it because he believed in the life Jesus would give him again. The children wanted to tell Jesus they believed in him, too. Each child had a special reason they believed in him. They weren’t the same. Another one said, “I believe in you because you made the universe and the multi-verse.” He was serious. Now you know why I say it is a joy and a privilege to be with these children. Their faith is genuine. They wonder and give their hearts to each other and to God, without reservation. This is what happens when children are free and wonder—and it is very beautiful. To learn more about the Worshipful Play approach to children’s ministry, contact Troy. We offer training! PlayFull’s mission is to help people and organizations play from the inside-out. We invite you to like us on Facebook or follow us onTwitter. Thank you for reading. Within each of us is the capacity to grow or diminish. Today, I can choose to be a person with a big heart or a shriveled spirit. A soul can expand or contract. I can be a welcoming, hospitable presence or an isolating influence. 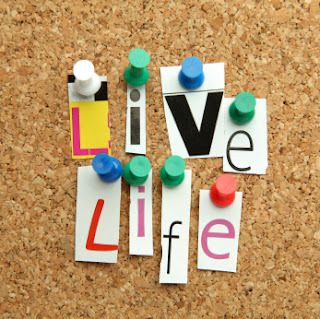 I invite you to join me today in embracing qualities that enable us to live life to the fullest. Which of these is most needed…for you? Take your time and consider each one slowly, if you are able. 5. Stepping out in courage and faith. 11. Waiting to speak until anger has subsided. 13. Observing silence, resting from words. I wonder: Which one of these fits you best? And, I wonder: Do you have anything else that comes to mind? Here's a great thought from e.e. cummings. Art by Lina Ekstrand. Pattern design for Oriflame, 2013. Visit her website. See more of her work here. Play from the inside-out. To stay abreast of more encouraging content, we invite you to like PlayFull on Facebook or follow us on Twitter. I love asking this question because every time I ask it I see the person or group of people come alive before my very eyes. Their eyes open wide with life, their voices become excited, vibrant…they often begin to speak more quickly, loudly…they become bold, their chest swells, their body becomes animated, their hands move and grasp the air like they are passionately sculpting, creative and focused. In every instance, the answer helps the group or person obtain clarity about what they should do next. When we are true to what energizes us we find an inexhaustible source of life that buoys us up when the going gets tough, when we don’t know what to do. I think of a scene in The Lord of the Rings (love that movie, by the way!) when Gandalf and the Fellowship of the Ring are in the mines of Moria. They pause because Gandalf doesn’t know which path to take next and then, after a brief rest, Gandalf suddenly knows the way to go. I think of passion in a similar vein. When you wake up one day and you don’t know which way to take, what to do, ask yourself what energizes you. The road will take you to a place where the air is sweeter, even if the place is darkness all around you. You’ll know it’s the right way because it’s the way of hope...and hope is what takes you through tough times. In the end, joy is your strength. So I invite you to consider today: what lights your fire? PlayFull offers coaching and team building designed to help you articulate your passion and stay true to it. Contact us if you’d like to know how we can help you thrive.